Is the 300hp all-wheel drive Golf R really Volkswagen's best-ever hot hatch? Were the Volkswagen Golf R a person you'd almost feel sorry for it. Think of it as the youngest member of a family in which its elder siblings have already gone on to become barristers, doctors and international dignitaries. It's now graduating from school and has a serious weight of expectation on its shoulders. 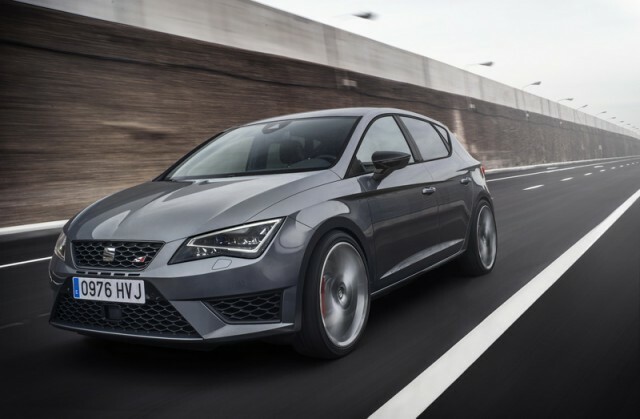 You see the R has already seen the standard Golf go on to win virtually every Car of the Year award going, the GTI has once more set the benchmark for quality hot hatches, while the GTD has taken a similar formula and tweaked it to deliver impressive fuel economy to boot. Now the R has to step up to prove itself as the ultimate, high performance Golf. Its party trick is extracting an impressive 300hp from its 2.0-litre turbocharged four-cylinder petrol engine and cramming in an all-wheel drive system that helps transmit it all onto the road. In the specific case of our test car, it also features Volkswagen's dual-clutch DSG automatic transmission - a €1,815 option. The family resemblance is obvious, even in this relative beast, yet it rides 20mm lower than a standard Golf. Its front bumper clearly serves to help feed that enriched engine with cool air while the standard 19-inch alloy wheels enclose the uprated brakes needed to help haul up its 1,495kg kerb weight. The aluminium-look door mirror caps are a touch too close to Audi's signature RS style though for our liking. However, the most telling sign of the Golf R's capabilities is the four chrome-tipped exhausts that protrude from the rear diffuser. In order to really appreciate the interior, you need to have sat in either the GTI or GTD to notice the unique differences. Subtle blue accents in the form of thin LED ambient lights strips and similarly coloured instrument needles serve to remind you that you are in something a little more special. The sports seats are supportive too without feeling as if they've been lifted directly from a race car, whilst the piano black centre console insert ensures that the Golf R exudes as much class as it does performance. Should you be lucky enough to own a garage, starting the Golf R inside with a cold engine is an aural experience that almost in itself justifies the €43,000-odd asking price. It cracks, pops and burbles as it warms up sounding like an engine of greater capacity than 2.0 litres. A split personality disorder could be construed as a negative thing most of the time, but in this case it's what makes the Golf R feel positively special. So slick and smooth is the DSG transmission that it is an utterly docile car to drive around town. You never feel apprehensive about applying pressure to the throttle pedal. It feels happy to simply pootle around at sub-60km/h speeds and the combination of compliant suspension and light steering (thanks to the electromechanical setup that features a variable ratio rack) means that you could just as easily be driving a normal Golf. However, it is when you decide to exploit all 300 of the Golf R's horses that it really comes alive. Stab the throttle pedal and within milliseconds the gearbox drops a few cogs, the fifth-generation Haldex all-wheel drive system rolls up its sleeves to fling you up the road at a pace that will be sure to raise the eyebrows of your passengers. In terms of straight-line performance, the potent Volkswagen will keep up or beat most cars it comes up against on the road. However, buyers of Golf Rs are, we like to think, going to expect more than winning their local traffic light grand prix. Put the car on any free-flowing mountain road, turn up the wick and you'll experience an extremely capable car. In fact, it is only when pushed to the extreme that the Golf R begins to show its true potency. The ride is composed, not overly sprung causing it to feel busy and stiff like you might expect. It grips the road in a confidence-inspiring fashion almost daring you to push it that little bit more. The XDS+ system helps to eradicate any understeer unless you attempt something particularly mad too. Around about now some might complain that the steering feels numb or vague. Yes, there's a slightly less connected feeling but the steering does exactly what you ask of it. Then there's that four-cylinder engine - keep it right up in the rev range and it can really sing. Peak power doesn't arrive until 5,500rpm, though you're never left waiting; the 380Nm of torque starts at 1,800rpm and lasts all the way to the 5,500rpm mark. Run it out to the red line and the experience is consuming. Yet it is this competence in extreme situations that in my mind was almost the Golf R's undoing. For those few times when you really let it rip the car is nothing short of incredible. The problem for me is that for the other 85 per cent of the driving time, a Golf GTI does everything with just as much aplomb. Granted Volkswagen Ireland did lop a cool €9,550 off the price of a Golf R in late 2014 to bridge the price gap to the GTI, and if you're looking at adding the Performance Pack to the latter (you'd be mad not to) the price gap closes further. It's easy to love the Golf R in isolation and marvel at just how laugh-out-loud fast it is while still being everything that you would want from and expect in a five-door hatchback. There is of course the serious fuel consumption you will witness when you do push the car that bit harder, yet even with the lightest of touches on the throttle pedal Volkswagen says you'll not see better than 48mpg (5.9 litres/100km) - I never came close to this during my time with the car. There is no doubting the Golf R's child prodigy-like abilities, but it is an indulgence. A wonderfully fast, competent, polished and thirsty indulgence. Were it my own hard-earned cash I still would have the Golf GTI with the Performance Pack and be perfectly happy with it day-in, day-out. 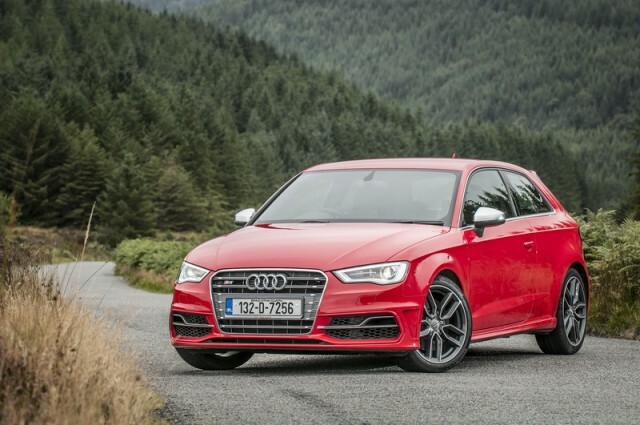 Audi S3 vs. Volkswagen Golf R: essentially the Golf R's mechanical twin, but Audi style and interior makes it a nicer, if more expensive alternative. 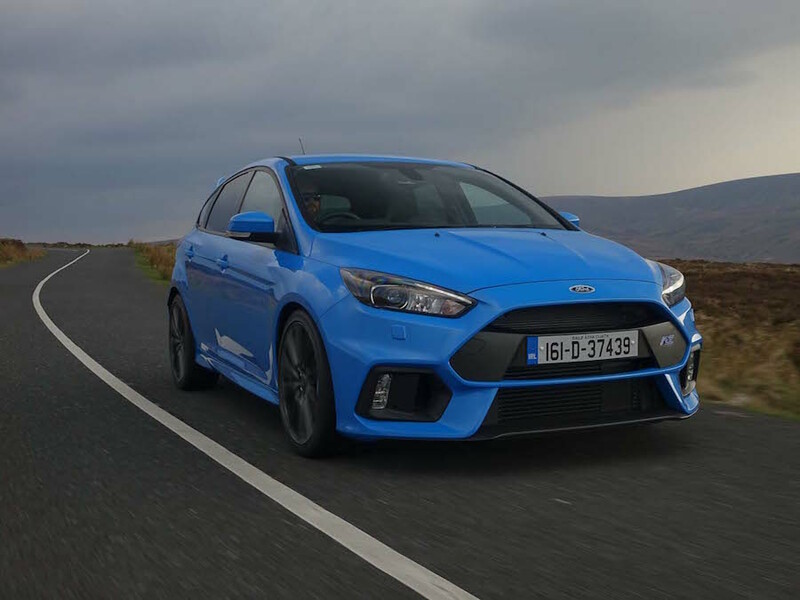 Ford Focus RS vs. Volkswagen Golf R: all-new model features all-wheel drive and even more power than the Golf R.
SEAT Leon Cupra vs. Volkswagen Golf R: no longer the poor relation, it might only have front-wheel drive but it packs a serious punch and is great value for money.